"Best dental experience I have had." "The staff is so nice and it's very clean. Best part is that we don't have to wait long." "The staff was great making sure I knew what was going on all the time." "Nice staff and they are so professional." "Just visited for the first time. Fast, friendly and efficient service. No complaints." "I hate going to the dentist but I had as pleasant experience as possible." "Normally, I hate going to the dentist, but Dr. Jean Lee made the experience pleasant." Lakeview Family Dental is a general and cosmetic dental practice in Pacoima, Lake View Terrace, Sylmar, California. Dr. Jean Lee and her team of dental experts provide quality care in a comfortable and relaxed setting. The team at Lakeview Family Dental emphasizes preventive care and encourages regular cleanings and checkups for oral health monitoring. To better serve the Pacoima, Lake View Terrace, Sylmar community, the team offers flexible scheduling and appointments for dental emergencies. In addition to keeping teeth clean and healthy, the team at Lakeview Family Dental performs a number of special dental procedures, including root canals, dental bridges and crowns, and treatment for cavities and gingivitis. As specialists in cosmetic dentistry, the team offers a number of options to improve your smile, including teeth whitening and veneers. The team at Lakeview Family Dental also offers Invisalign®, the advanced teeth straightening system that improves teeth alignment discreetly and quickly. Whether for routine care or cosmetic fixes, the team at Lakeview Dental can help. Call today or book an appointment online. For only $85, Dr. Lee is currently offering a new patient cleaning, an exam & dental x-rays. Please request an appointment online or call us today to take advantage of this special offer! Don’t forget to use your dental insurance benefits before they run out! Beat the holiday rush and contact Lakeview Family Dental today! At Lakeview Family Dental, we accept most major insurance plans. Here is a list of some of the plans we accept. Please contact our office if you do not see your insurance provider listed! "The dentists here made the experience as painless and pleasant as these procedures can be." "Dr. Jean Lee is outstanding! She has excellent communication skills and is extremely friendly." "Everything is performed quickly, efficiently and with care from professionals with plenty of practice." 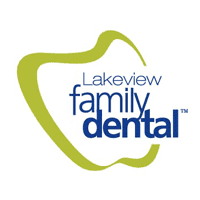 "Lakeview Family Dental gave me wonderful and professional service! I wouldn't hesitate to return to them nor would I hesitate to recommend them to anyone." "I just started going here and I gotta say, they have a great staff. Every time I've gone they have been very accommodating." "Everyone from the receptionist, the assistants, to the actual dentist were nothing short of amazing." "Dr. Jean Lee is very kind and explained what was going on with my teeth without trying to sell me anything I really didn't need."